Brew up new business with the Thumbprint Mug! It holds 12.5 oz. 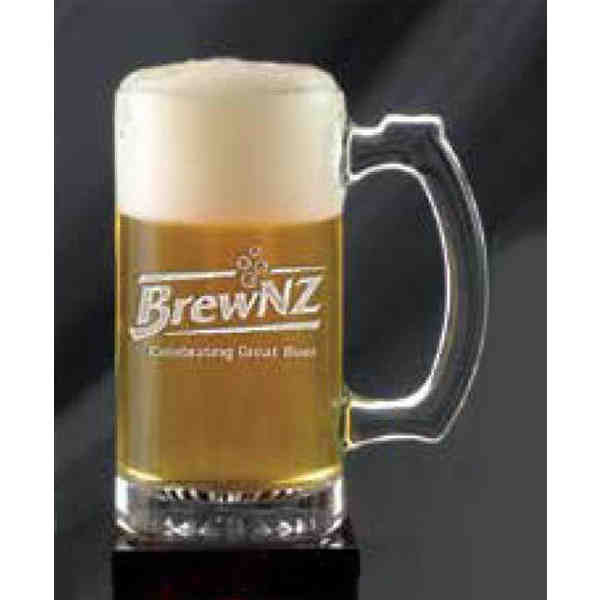 of your favorite beer and features a sturdy handle with a flat top where you can rest your thumb. With this glass, drinking is made much easier and more convenient! With your name etched onto the side people will remember exactly who to come back to for a great drinking experience. Make these a part of your bar or restaurant today!